The late Rick Majerus is one of nine former players and/or coaches to be selected on Tuesday for the College Basketball Hall of Fame. 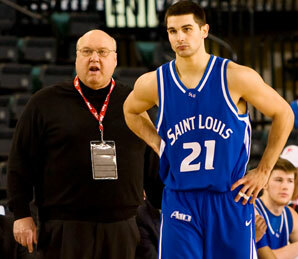 Majerus passed away in 2012 after winning 517 games with Marquette, Ball State, Utah and Saint Louis. He helped the Utes to the 1998 National Championship game. Former coaching great Lute Olson was also selected after winning 781 games at Long Beach State, Iowa and Arizona. He took the Hawkeyes to the Final Four and the Wildcats to three Final Fours. He won the title in 1997. Also selected was former Indiana standout Calbert Cheaney, UNLV’s Larry Johnson, Ernie DiGregoria of Providence, Shane Battier of Duke, Purdue’s Terry Dischinger, Stanford’s Todd Lichti and longtime Valparaiso coach Homer Drew.